The Inquiry presents proposals aimed at strengthening Sweden’s national security interests.The Inquiry has paid close attention to trends regarding radio use in different areas and sectors, such as crisis preparedness, law enforcement, defense, digitalization, connected society, technical developments, traffic and transportation and broadcasting. In all sectors the trend is towards increased radio usage as well as for new services as for an increased need of mobility and data transfer, except for terrestrial radio and television broadcasting. 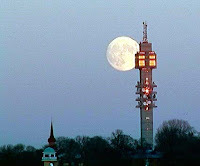 Sweden should prepare for possible changes of the frequency bands allocated for broadcasting. Decreased demand for reception of terrestrial television and digital radio broadcasting (DAB) may lead to changes in international allocation that Sweden needs to be prepared for according to the report "Frequencies in the service of society”. the investigation wants the Defense, the Post and Telecom Agency and the Authority for Press, Radio and TV to produce a joint proposal regarding band 174-240 MHz. Before 2027, it will also be investigated how terrestrial TV can be moved to alternative distribution methods (such as the Internet). Public interest in terrestrial television is decreasing and and few are listening to DAB, notes the investigation. Only 18% of households receive television via the terrestrial network (DVB-T2). At the same time, FM listening has only decreased marginally in recent years. In the case of FM, the investigation suggests that no changes are made. Demand for DAB in 174-240 MHz in Sweden is currently low, both from consumers and broadcasters. The frequency range is therefore underutilized and if the demand does not arise to a greater extent or the government decides on a transition to DAB radio for other reasons, the government should reconsider the decision to reserve the frequency band for DAB so that during the period 2027-2047, they can be used for other services, says the report. The main proposals in the investigation are that all frequency space should be priced. It should also be possible to impose requirements on public service content in radio licenses and that radio licenses should be able to be refused or revoked if the use can "cause danger to Sweden's security”. The inquiry has been submitted to the Ministry of Industry and the new minister for digitalization Anders Ygeman (s). The government is expected to make a decision on this issue later this year. The Swedish public radio SR presently broadcasts on DAB with a temporary permit covering about one third of the population, but with few listeners. In 2018, SR announced last year that it would prefer to rather invest the money (SEK 6 million per year) on its growing Internet operations from 2020. Thus, it is likely that SR will not seek a new temporary DAB permit from next year. In October 2018, commercial broadcaster NENT (ex-MTG) announced that it would use its DAB licenses in 2019, which it has had since 2014. However, it is likely that commercial radio will not invest in DAB unless SR has continued ambitions. In addition, Bauer Media and NENT are now economically far better off with FM in Sweden compared with their operations in Norway since one year now on DAB only. There is no consumer demand for DAB radio in Sweden. A significant part of the radio listeners are now on another digital platform; he Internet via smartphones and Connected Cars. In addition to Finland, Estonia has also rejected DAB. Russia is significantly more interested in the DRM system than DAB. DRM enables digitization of existing radio broadcasting bands from long wave to FM.